Shelter II is the second in a series of books about people building their own homes in different parts of the world. The principles outlined in Shelter, published almost 40 years ago, seem even more important today: relearning the still-usable skills of the past and doing more hand work in providing life's necessities. 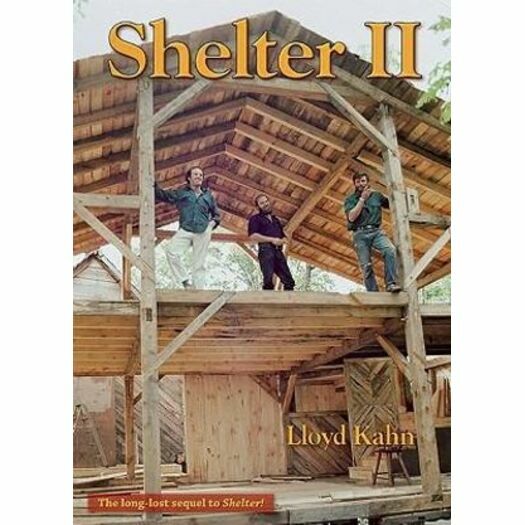 Shelter II provides a basic manual of design and construction for the first time house-builder. The book begins with simple shelters still being built and lived in by people with minimal resources. They can be viewed for historical or anthropological interest, or as sensible, instructive examples of efficient construction by those who lack the choices available in industrialized societies. There are also personal accounts and seasoned advice from builders in different climates, with a variety of design approaches, construction techniques, and building materials. A home is still a place for working, resting, sharing, healing, dreaming . . . some things haven't changed that much.